Als je overweegt om een tent aan te schaffen en je bent nog niet zeker waar je nu precies op moet letten dan hebben wij daar de oplossing voor. Deze tips zijn door onze experts geschreven om voor diegene die op zoek is naar een tent. The winter landscape is truly magical and with snow blanketing everything it can be hard to resist the urge of going outside, and why would you? 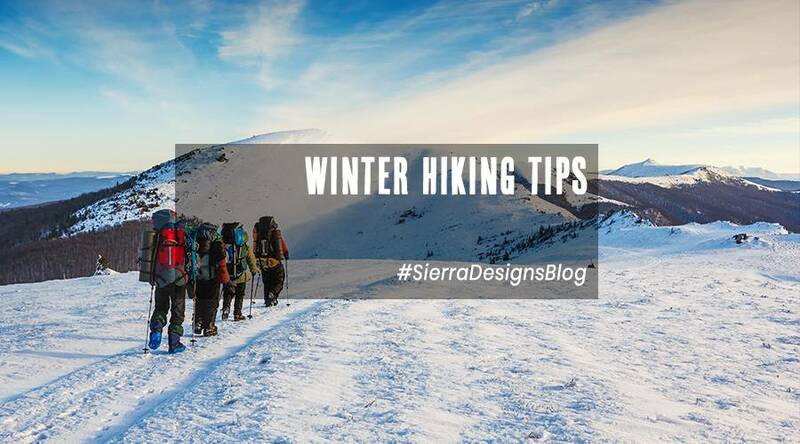 With the winter season just outside our doors we want to help you prepare yourself when going on a winter hike or participate in any other winter activity. Read all about it in this article. The key to dressing warm in cold weather is to wear layers. Layers will help with better insulation because they offer a better capability to hold air and wick off the moisture. Start with a bottom layer which fits snuggly around your body. The middle layer is for insulation and can be a fleece. The outer layer is a hardshell or softshell which protects you from the elements like rain, snow and wind. Take care not to wear any cotton clothing. Cotton tends to hold moisture and thus does not help you to keep warm. If you are going on a winter hike or doing a winter trekking it is really important to prepare your activity. Check the route you are going to hike and share the route with somebody so they know where to find you in case of emergency. Take a careful look at the weather and plan possible exit-points in your route in case the weather turns for the worst and you need shelter. Examine your equipment that you are taking with you. Check your tent if it is load bearing enough in case you end up in a blizzard. Check your sleeping bag and mattress if they provide enough insulation for the lowest temperature you are expecting. Consider getting a guide if you are in an unknown area. Trail markings, which can be seen clearly in summer, can be completely invisible in the winter if they are covered by snow. Most important of all, reflect on yourself whether or not you have enough experience for the activity you are planning to do. The distances you can cover hiking in summer are greatly reduced when you are ploughing through snow so make sure to never overestimate yourself. The world is full of stories from people who underestimated the winter circumstances and are lost in winter forever. If you are looking for a proper sleeping bag for the cold temperatures, you should check out our Sierra Designs Sleeping Bags here. Or if you are looking for a strong and durable 4-season tent, check out our Sierra Designs Tents here. Eat more simply because your body burns more calories in cold weather keeping you warm. Cold weather tends to make energy bars rock-hard. In order to prevent this you can keep your food close to your body. Also don’t neglect to make the stops to eat simply because it is cold, even better take a thermos with you for hot food. Cold weather can cause problems with drinking. Get an insulated water bottle or an insulated hydration reservoir. If you go for the hydration reservoir make sure the drink tube is also isolated. If you do not have an insulated water bottle use a sock to insulate your water bottle and regularly take sips in order to prevent the freezing of the water. Just as you can take a thermos for hot food, you can also take a thermos for hot drinks like hot chocolate or tea. The most important tip in preventing frostbite and hypothermia is already covered in the first tip, but there is more. If you notice that you have some cold spots of uncovered skin, try to cover that. In freezing cold this goes a long way in preventing frostbite. Should you get cold despite that, don’t try to toughen it out. Frostbitten skin has three levels of severity and it can be hard to visually identify which level frostbite you have. Try to keep you hands warm by keeping them under your armpits. Also keep an eye out on your hiking partners, ask how they are doing and check for pale spots on their faces. Act as soon as you notice something out of the ordinary.